Posted in Bright Ideas / Research on January 19, 2011. 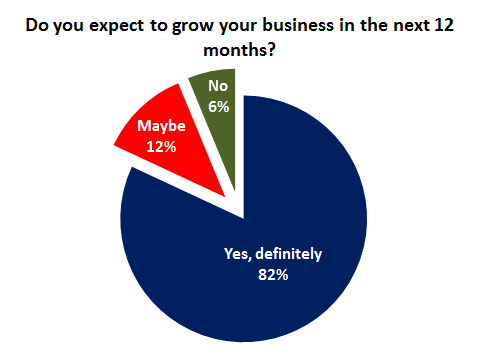 The objective of this survey is to gain greater understanding about the health & nature of the local SEO Industry. 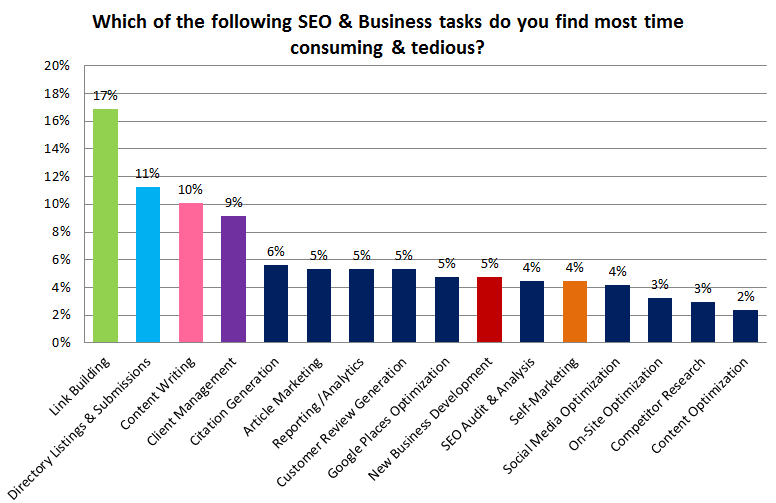 Through this survey we aim to find out what life is like ‘on the ground’ for those in the local SEO industry and to share those findings publicly to help improve the knowledge and insight within our industry. 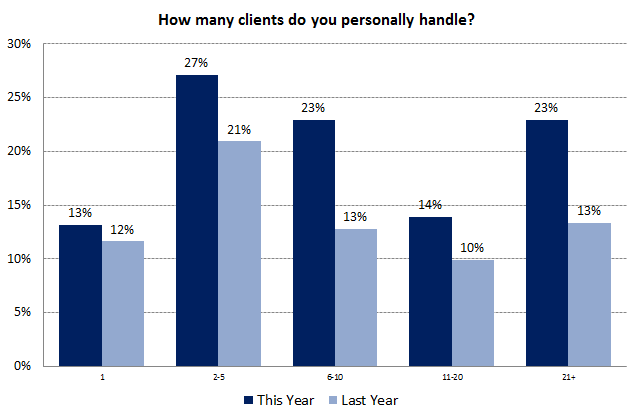 The survey was conducted in Q4, 2011 and the full set of findings published in January 2012. 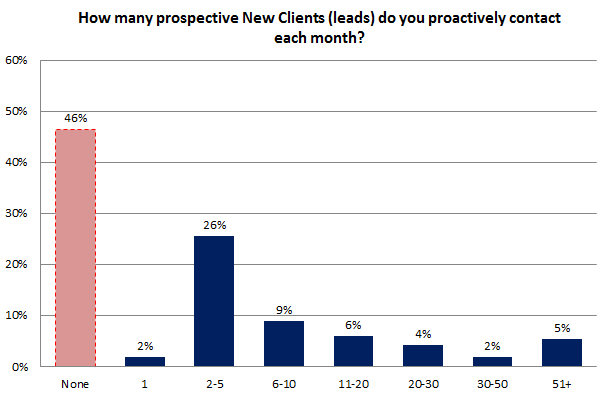 This is the first year this survey was conducted and we intend to repeat the survey in 2013. The survey is designed to be an annual survey and will update and change to ensure the questions and focus remain relevant in our rapidly changing industry. We received 1,153 entries from SEOs in 4 different countries, with 87% of respondents based in the US & Canada. 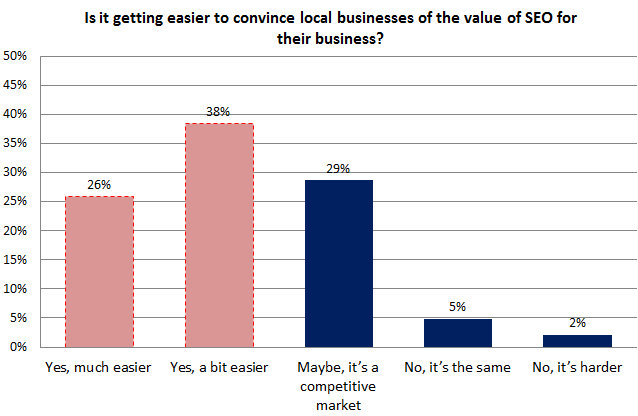 As expected the range of pricing varies greatly for local SEO campaigns. The nature & scale of full local SEO campaigns varies from client to client depending on their scale, and also from agency to agency depending on the services they offer. 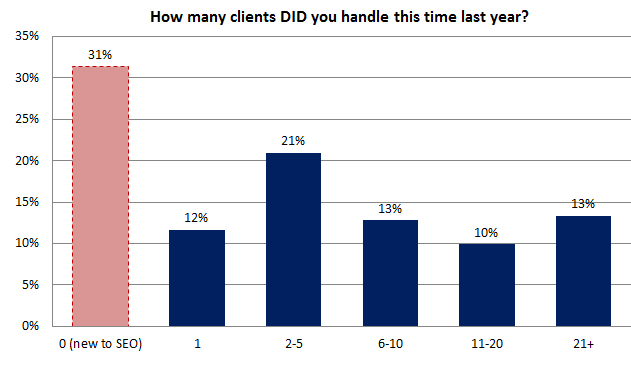 Interestingly 19% of agencies charge less than $100! 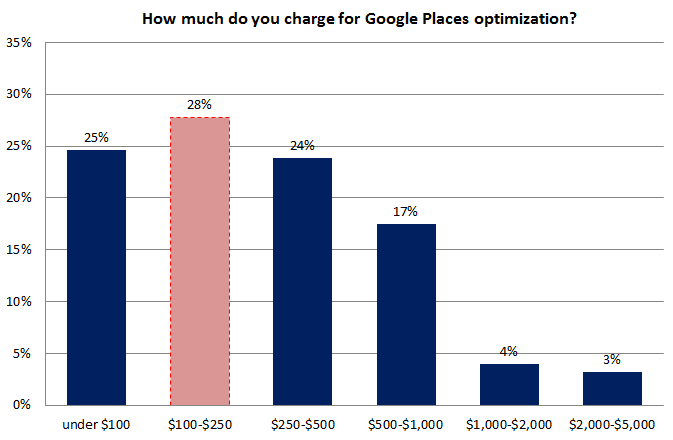 But we suspect that this isn’t entirely true and this amount could be a ‘per month’ cost which makes the total amount higher, or that the respondent only offers Google Places optimization so quoted the same pricing here as for question 6. 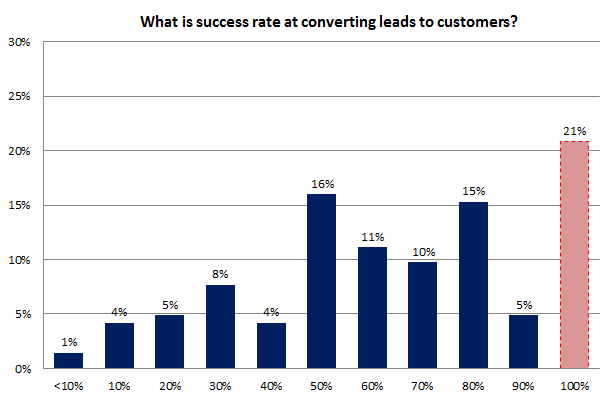 Local business owners are starting to embrace social channels as routes to acquire more customers. Most don’t understand how to use and what to expect from it but they feel that they should be using it. The names ‘Facebook’, ‘twitter’, ‘foursquare’ etc…are ringing in their ears and they read stories about great successes other local businesses are having. They want a slice of that pie but need help in appreciating how to use it and turn ‘likes’ into real customers. It’s undeniable that when used correctly and creatively, social channels can be very effective. 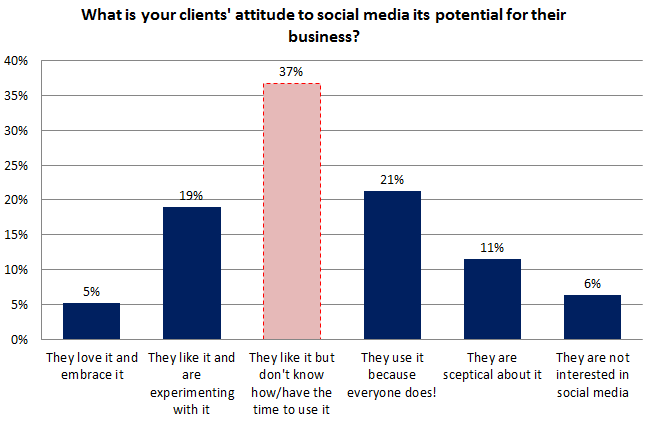 But survey results show that not everyone is convinced (24% are not convinced) and 48% believe that it suits some businesses and not others. 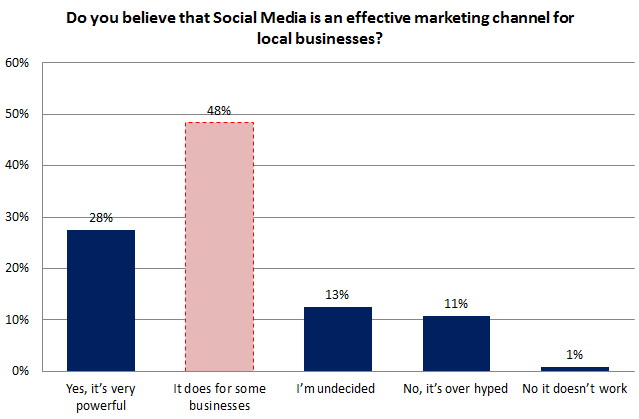 Key Insight: social media gives local businesses an opportunity to engage customers in a way that Google Places & organic search can only dream of. The opportunity for public conversations with customers and social, creative campaigns give a businesses a chance to express their personality and standout from competitors based on more than page rank and rather bland star rating. 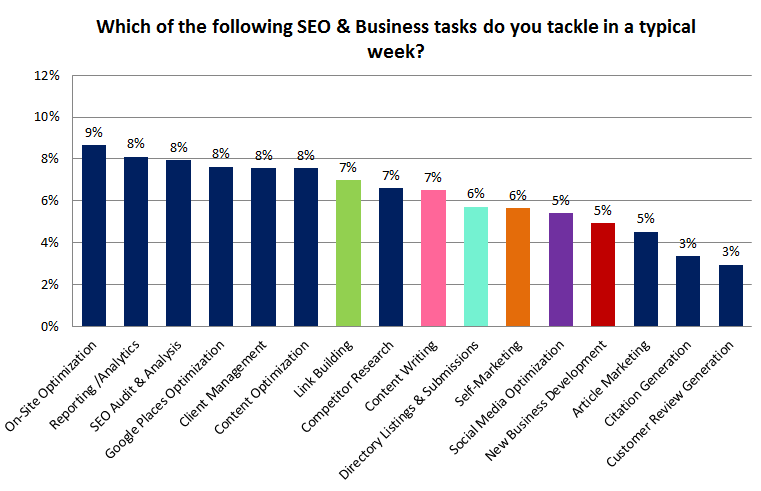 The range of tasks a typical SEO does each week is very broad & varied. 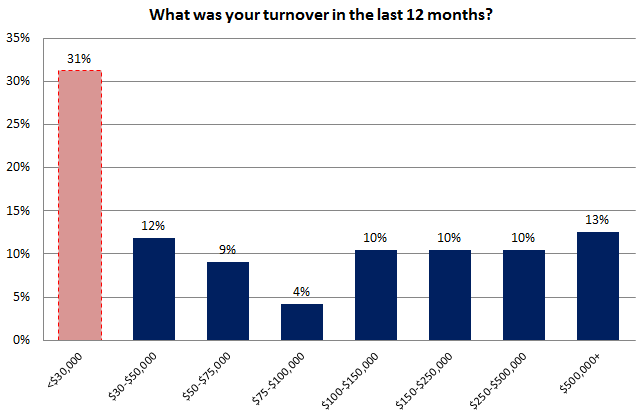 Given that the average turnover for a Local SEO was so low in the last 12 months it’s safe to assume that most SEOs don’t have the luxury of specializing in certain areas and need some knowledge of everything from On-site optimization to Link Building to Social Media optimization. 11. SEOs really don’t like link building & directory submissions! It won’t come as a surprise to most of us that they tasks which SEOs like the least are the time consuming, fiddly and often unrewarding tasks of link building, directory submissions and content writing. 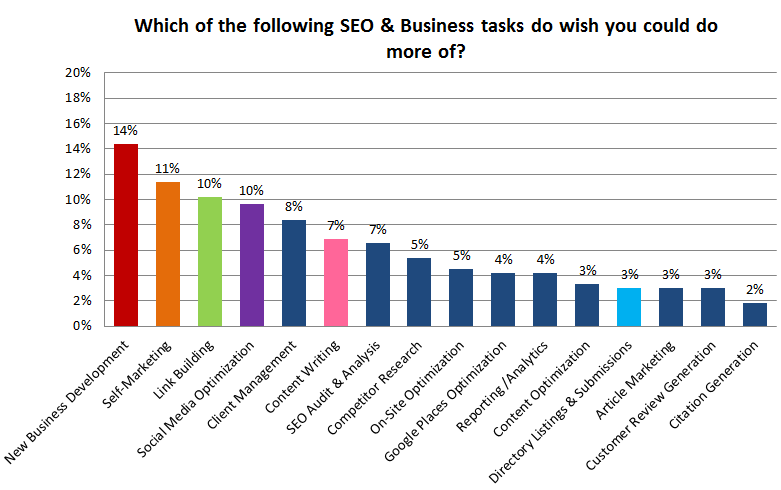 These tasks are of course essential to effective SEO (directory submissions maybe not so much these days) but they require a certain type of personality to excel at them. Patience & process are 2 important characteristics of link builders which not everyone has enough of! 12. SEOs really don’t like link building & directory submissions!